← Cool and Colorful Masatami Shave Ice! We spent three days and two nights (June 2 to June 5, 2012) at Dumaluan Beach Resort in Panglao Island, Bohol. 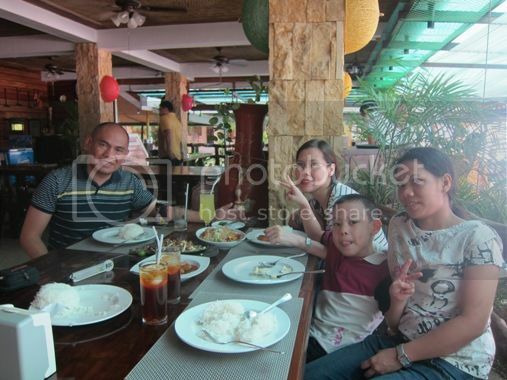 We had our lunch, dinner and breakfast at the resort’s Kan-anan Restaurant & Bar. 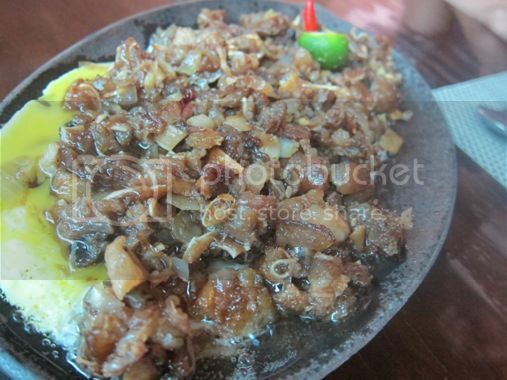 Our first lunch there was quite delightful, consisting of Sizzling Sisig, Pansit ni Yoyong and Pescadillo. The name of this pancit canton is quite interesting, and that prompted us to try it. It turned out we made the right choice because this was delicious. 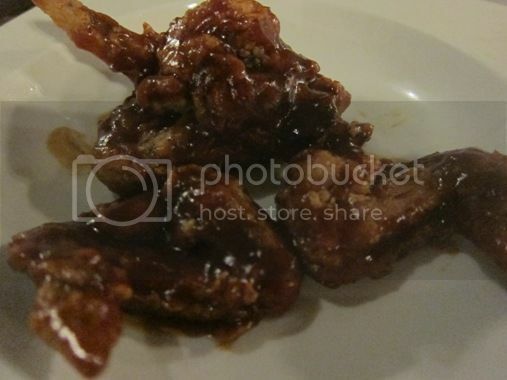 It’s not too dry and not too saucy, and it had generous servings of meat and seafood, which made it even more flavorful. It’s topped with hard-boiled egg, calamansi and toasted garlic, too. We really enjoyed our lunch at Kan-an Bar & Restaurant. Now, here’s what we had for dinner. 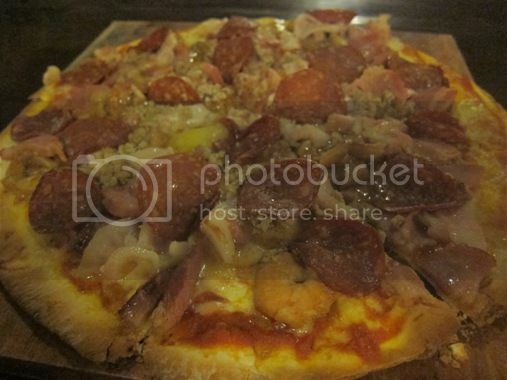 This is thin crust round pizza with mozzarella, seafood and meat. According to the waiting staff, this is one of their bestsellers, so we tried it. This pizza is so loaded, but we were so overwhelmed by all the toppings that we actually got tired of it after just one slice. We should have ordered their Salmon Pizza instead. These are “buffalo glazed crispy chicken wings, served with cream garlic.” There’s nothing special about this chicken dish, but hubby liked it. We ordered these for the little boy. He ate only two of these, and we ate the rest. I understood why my son did not like these. The Mozzarella Sticks were a bit bland and needed more seasoning. 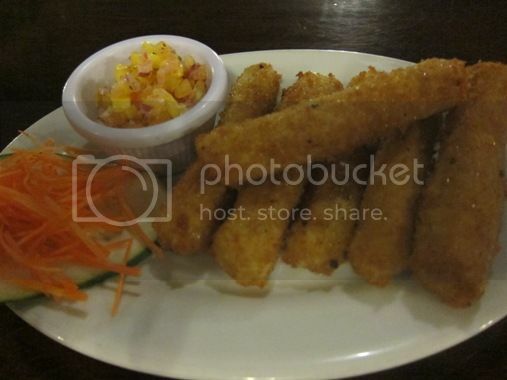 These Mozzarella Sticks were served with mango salsa, but we preferred to dip them in ketchup. Kan-anan Restaurant & Bar’s breakfast buffet was simple, consisting of three dishes only. 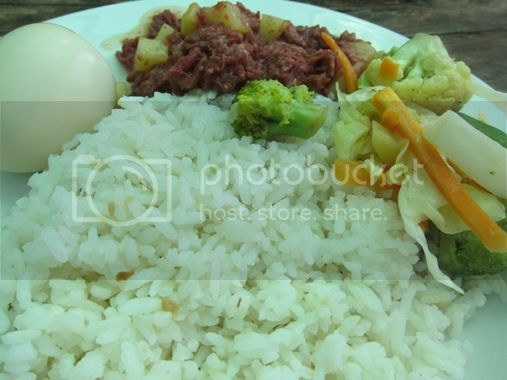 Here’s what I have on my plate on our last day at Dumaluan Beach Resort: fried rice with hard-boiled egg, corned beef with potatoes, and buttered vegetables. The fried rice, egg and veggies were okay, but the corned beef was a bit salty. 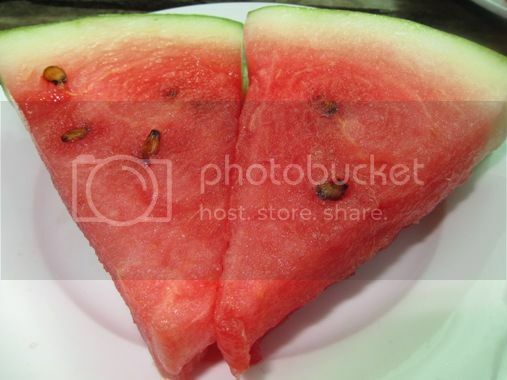 I also had watermelon slices, which were quite okay. To sum it up, we had a delicious lunch, a filling but not fully satisfying dinner, and a passable breakfast at Kan-anan Restaurant & Bar. 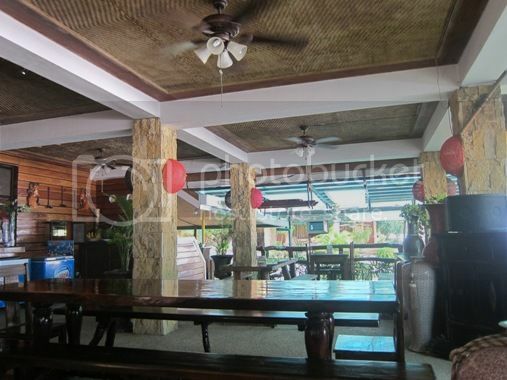 I would also like to mention that the staff of Kan-an Restaurant & Bar and Dumaluan Beach Resort in general were all very courteous and helpful, which made our stay there a very pleasant one. 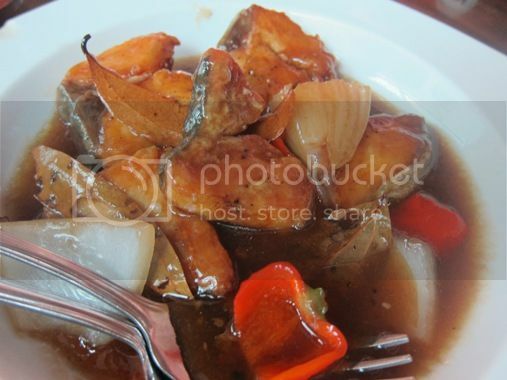 This entry was posted in American Cuisine, Bohol, Continental Cuisine, Filipino Cuisine, Kan-anan Restaurant & Bar. Bookmark the permalink. A visit to Bohol is still unchecked in my bucket list. I hope to visit it soon with my family. 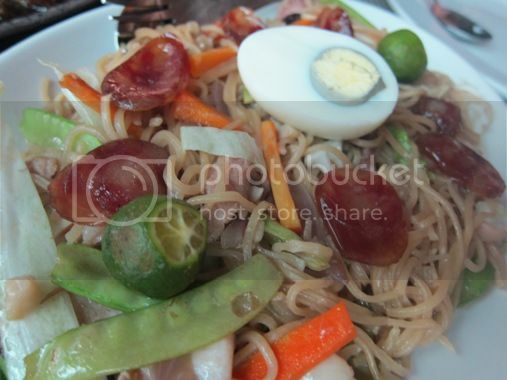 yummy naman ng pancit! i love bohol… we stayed in bohol bee farm and had an awesome time. You had a good holiday and the spread looks yum. I particularly like the sisig and pancit canton 🙂 Cravings alert! You win some you lose some 🙂 I love the ambiance of the restaurant. My hobby love Bohol. The food looks very delish! i hope to visit Bohol soon.. I saw your pics sa FB, ang saya.. your son J must be very happy.. ganda ng beach.. 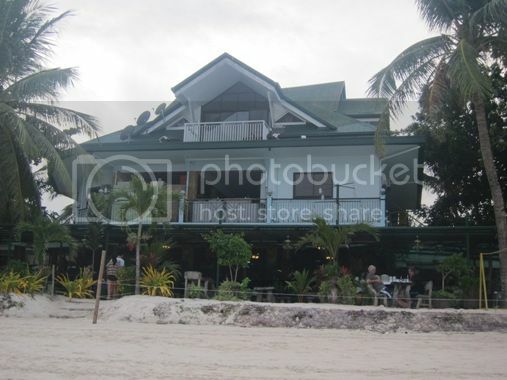 In the two times I traveled to Bohol, I stayed here. I am glad they already have the Buffet Breakfast because my first time there we only had plated breakfast, which didn’t really look appetizing. 🙂 Anyway, I loved staying at DBR…. especially because the beach is just near. Did you try eating at the nearby food places?